c Each poster should be the original work (including concept, layout, slogan and any visual images) of a single person. c Posters must be 11X17 inches in size. If pastels, chalk or charcoal are used the poster must be laminated or covered with clear plastic. Posters may be in color or black and white. 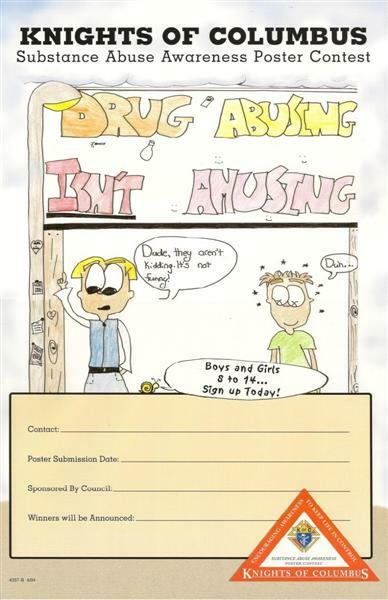 c Each poster must be submitted with a Knights of Columbus Substance Abuse Awareness Poster Contest entry form. The name and age of the person entering the poster should be included on the back of the poster. 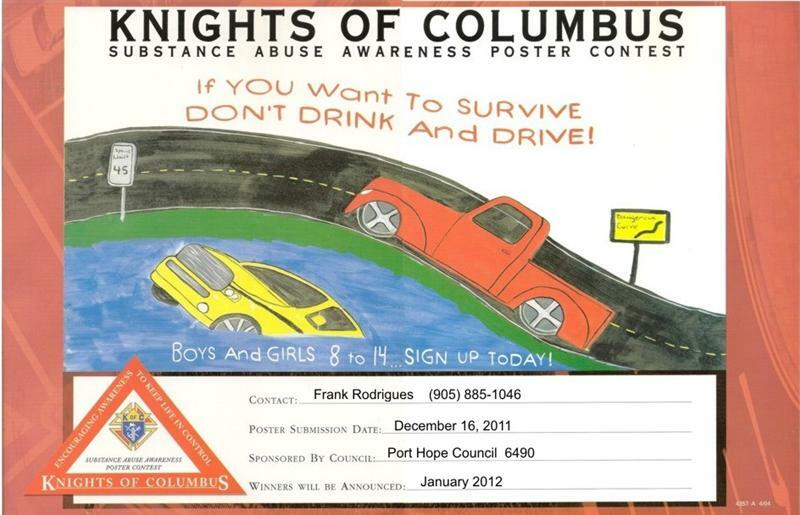 c All entries become the property of the Knights of Columbus Supreme Council Posters will not be returned. c All entries must be submitted by December 16, 2011 and must be signed by a parent.